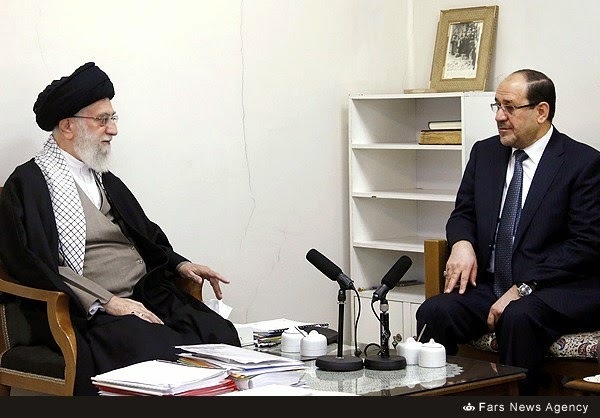 Above: IRI Supreme Leader Ayatollah Ali Khamenei met with former Iraqi Prime Minister Nouri al Maliki on 10NOV14. The former prime minister currently holds office as an Iraqi vice president. 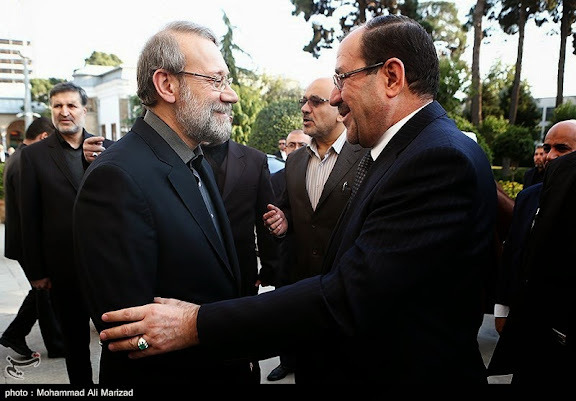 Maliki's arrival in Tehran comes roughly three weeks after Iraq's current Iraqi Prime Minister Haider al-Abadi flew to Tehran to hold talks with senior Iranian leaders. SL Khamenei's reception of Maliki indicates Tehran continues to support Maliki as a relevant political player in Iraqi politics, suggesting implications for both U.S.-led and Iran-led coalitions in the war against ISIL. 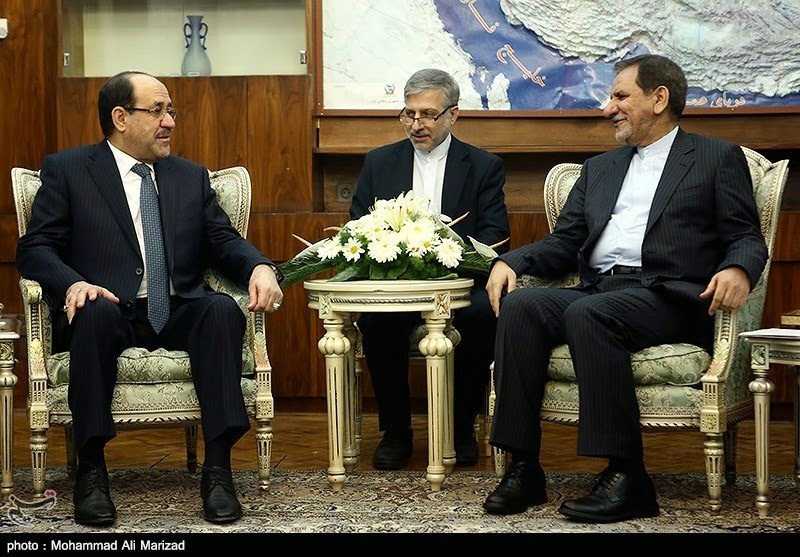 Maliki also met with a representative of Iran's executive branch of government, IRI First Vice President Eshaq Jahangiri. Very interesting! Maliki is considered by many political players inside Iraq and observers outside as playing a key role in eroding Sunni confidence in Iraqi political system, paving the way for the re-emergence of the Islamic State. His firing of prominent Sunni general officers, moves against Sunni politicians and ignorance of Sunni (and Kurd) aspirations created the most divisive sectarian situation in the country. Tehran's attempt to resurrect Maliki's image will solidify Sunni anger and make the work of the current PM that much tougher to bring them into political participatory practices and away from ISIL. Even Gen. Soleimani reportedly wanted Maliki out for apparently those same reasons. This is an unfortunate and unwise move by Tehran.